Most parents are familiar with the term “helicopter” parent. It’s been a term that’s been around for quite some time. The helicopter parent hovers over their child, taking on too much responsibility for their child’s experiences. It’s referred to as over-parenting. This type of parenting hinders a child’s development. It hinders their ability to gain confidence in their own abilities. It hinders their ability to problem solve. It hinders their ability to take risks and to recover should they fail. It hinders their ability to handle their own life and the obstacles and opportunities that come their way. It hinders their ability to use their voice. 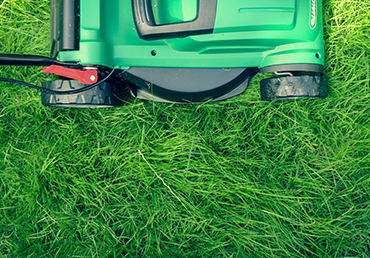 The “lawnmower” parent is a fairly new term or at least a term that is becoming more mainstream. The “lawnmower” parent rushes ahead of the child. They intervene so that the child does not experience any discomfort, problem, heartache or inconvenience. This type of parenting, like the helicopter style of parenting, hinders a child’s development. The child becomes ill equipped to handle their academic and social experiences. The child is unable to develop their own sense of purpose and personal motivation as they are following the path mowed by the parent. Children raised by lawnmower parents are not able to make decisions without the guidance of others. They lack self-esteem and self-confidence. They develop a mindset that they are not good enough to handle things on their own. They are afraid to use their voice. As parents we want to show our children that we have confidence in their ability. We want them to know that we believe in them. We want them to have experiences, even uncomfortable ones, so that they can gain strength and self-confidence. We want them to be able to handle their life, their challenges from a place of strength, with confidence and grace. As parents, we want to provide the right amount of support and guidance but not too much. Each child is different and some children have differing needs all of which need to be considered when determining how much to hover and how much to mow. Like most things in life a healthy balance is the goal. At Clariden, we believe in our students and their abilities. We believe in appropriate challenge so that students can learn to take risks, to fail, to learn grit and to gain strength and confidence. Student voice is a top priority here at Clariden and I personally love when students use their voice as I know that they have self-confidence and are not afraid to express themselves – all life skills they’ll need to have success beyond their time at Clariden.